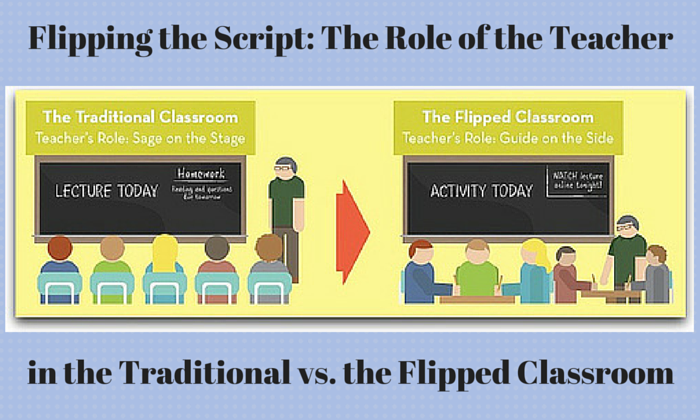 Blended, Hybrid, or Flipped Learning - What's Ideal for Your Classroom? Blended, Hybrid, or Flipped Learning: What’s Ideal for Your Classroom? Welcome to a two-part blog post which will explore the concepts of blended, hybrid, and flipped learning, the thought behind them, appropriate goals for implementing one of these formats, and the tools available to help with the transition to these environments. Recently, blended, hybrid, and flipped learning have been hot topics of conversation in the educational community. Many educators use these terms interchangeably or find their definitions to be ambiguous. In this article, it is our intention to discuss some of the strategies common to these types of instruction and provide some clarity. Both authors are of the opinion that all three names are really referring to the same pedagogical practice. Undoubtedly there will be some who disagree with this assessment, especially those with a vested interest in a program marketed with one of these titles, but we hope that this article will clear up some common misconceptions and confusion surrounding the instructional practices frequently associated with flipped learning techniques. As with any instructional strategy, technology integration tool, app, or device, educators need to start with a goal in mind. In fact, we strongly believe the goal should never be to ‘flip your classroom’ or implement a blended, hybrid, or flipped learning environment. Rather, these things, regardless of whichever definition you finally apply to them, are really just tools which provide the means to achieve the real goal, which we’ll discuss in just a moment. Technology integration has many benefits in the classroom. Not because it is a shiny new vehicle through which current tools help capture the minds of our students and engage them on a daily basis, although that certainly can be a beneficial result. What interests us most is what technology integration allows us to do in the classroom that we simply were not able to do before. Technology’s ability to enhance learning in a way that improves collaboration, creativity, and communication makes it invaluable. Industry and commerce have tapped into the potential that technology offers them to improve the customer experience. We would argue that education can capitalize on technology integration in much the same way to improve the student experience in the classroom. So what is the real goal? For this, we rely strongly on the vision described by Charles Schwahn and Beatrice McGarvey in their book Inevitable: Mass Customized Learning. Simply stated, an educator’s real goal is to meet the individual needs of every learner, every hour of every day. Proper technology integration gives educators the ability to finally differentiate for every student, providing opportunities for self-paced (think teacher-paced or faster) and mastery-based learning, and opening access to course materials and learning activities that extend outside of the classroom walls and regular school hours. These shifts essentially move us from a school day where time and location are the constant and learning is the variable, to one where learning is the constant and time and location are the variable. Now, before the “one more thing” mentality kicks in that typically accompanies the latest educational initiative, try to understand that what we are really talking about is capitalizing on the best practices that most educators already use in their classroom. To achieve the goal of consistently meeting the individual needs of every learner, we are not suggesting that teachers spend more time preparing lessons, but rather that they utilize their time differently. Instead of spending time preparing lessons based solely on the curriculum that needs to be covered, mass-customized learning enables teachers to prepare informed lessons by looking at data daily. This activity helps teachers tailor their instruction to meet the needs of every student each day. Using data to inform instruction results in teachers meeting with students because the data indicates that an intervention is needed. We realize many educators question the validity, timeliness, and accessibility of standardized testing data and its usefulness when making daily decisions. When we refer to data we are focused on the information educators receive about their students from the formative and summative activities that take place in the classroom. This would also include the information learned about students from daily interaction and working with students in a one-on-one or small group setting. In order for data to be relevant to daily lesson planning and just-in-time instruction, it has to be current and accessible to the educator. Technology integration, when applied correctly, not only allows us to do things that were not previously possible, it also allows us to save time on various tasks. The time saved can be reallocated to areas that have a greater impact on student learning. Making the move to a customized and/or flipped learning environment should be seen as a process that takes time to fully implement. This is not an overnight or all-at-once process; it’s a long-term change in the way classroom instruction happens. This type of well-informed instruction sets up assignments for students where they are consistently on-task. On-task activities are provided for students because they are working to master the next goal without waiting for their peers. Before implementing this type of instruction, we would look at different ways to keep our students entertained so that they are more attentive. Since teachers in this model will have more time to interact with students, the opportunity exists for creating engaging activities where students can take ultimate ownership for their learning and choose to explore a topic much more deeply than they could with a textbook alone. Educators must realize that today’s students are children of the most technology-stimulated time in history, which shortens attention spans and presents the challenge of communicating information in a way that quickly captures the learners’ attention. Even a ten-minute YouTube video is painful for most students to watch. In a traditional classroom, this same student is asked to sit through a 40-minute lecture, which leads to the student becoming disengaged because we are not teaching the way students learn. If the traditional instruction does not evolve and adapt to the needs of today’s learners, educators will be left to continue wondering why many students seem to dislike school. British professor and educational/training developer Phil Race, who presented an alternative experiential learning model which was seen as radically new and different, reported in 2001 that a teacher generally speaks 100-200 words per minute and a student only hears 50-100 of those words. The study also found that students are attentive just 40% of the time. Another study conducted by Chet Meyers and Thomas Jones found that students retain 70% of what they hear in the first ten minutes of class and just 20% of what they hear in the last ten minutes. Studies like these teach us that the method of the traditional lecture is not very effective, which is why many schools have already acknowledged this and have begun to implement other forms of instruction, such as flipped learning. Examples of this adaptation to a new methodology include small groups, collaborative instruction, and stations which have become very popular in all levels of education. Each of these instructional strategies are also important aspects of the blended, hybrid, and flipped learning strategies being discussed. The word ‘engagement’ is often used when referring to students actively learning in a classroom. We actually believe there is a difference between ‘on-task’ and ‘engaged’ behavior. There is not a problem with a classroom of students involved in on-task behavior: the framework created within this type of instruction creates an environment where ensuring that students are on-task is achievable. However, true engagement seems to be achieved when a student develops a desire to go beyond the required curriculum and becomes a self-directed learner who explores the curriculum more deeply, of their own initiative. One of the benefits of incorporating technology in a flipped, blended, or hybrid environment is that it provides the opportunities needed for students to become the engaged learners we hope to nurture in our classrooms. At the same time, it allows students in need of more time to master the curriculum the opportunities they need for support and differentiated instruction. Be sure to check back in a couple of days for Part 2 of this post, which will introduce the various technologies that are often a part of a flipped learning environment. You can follow the authors on Twitter by looking for @jksuter and @manganc24. 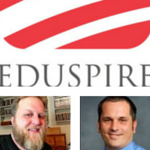 Eduspire instructors Jason Suter and Dr. Chris Mangan are co-authors of this post. Both educators share a passion for educational technology and modern methods of teaching. Jason Suter is a science teacher at Hanover High School in Hanover Public School District. He belongs to the Classrooms for the Future program and has played an integral role in working with his district to establish a BYOD policy and move toward a 1:1 Chromebooks environment. Jason’s philosophy is that educational technology should be used to accomplish things that were not formerly possible in the classroom, in order to promote differentiation, personalize student learning, and provide students with continual access to courses and materials. Dr. Chris Mangan is an Eduspire instructor as well as a fifth grade teacher at Cetronia Elementary School in Parkland School District. He is also an adjunct professor for Wilkes University, Franklin University, and Aspen University. Chris loves integrating high-level technology into his classroom and enjoys seeing the impact it has on his students. Chris also has a passion for blended learning and is teaching for a 4th year a blended, self-paced math class which he developed. Chris has also implemented a traditional flipped writing class, and is in his first year of implementing a blended, self-paced English class. He has created over 300 instructional screencasts. Chris Mangan teaches the popular Eduspire course, Implementing the Flipped Classroom.